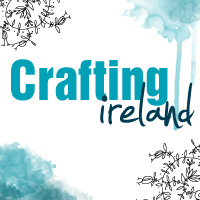 Welcome to Day 1 of Crafting Ireland’s 12 Days of Christmas! We have 12 fun days of projects from our team and some guest post too. We want you inspired to get your Christmas crafting projects started – and maybe even finished too and leave you with time to enjoy the run up to Christmas! 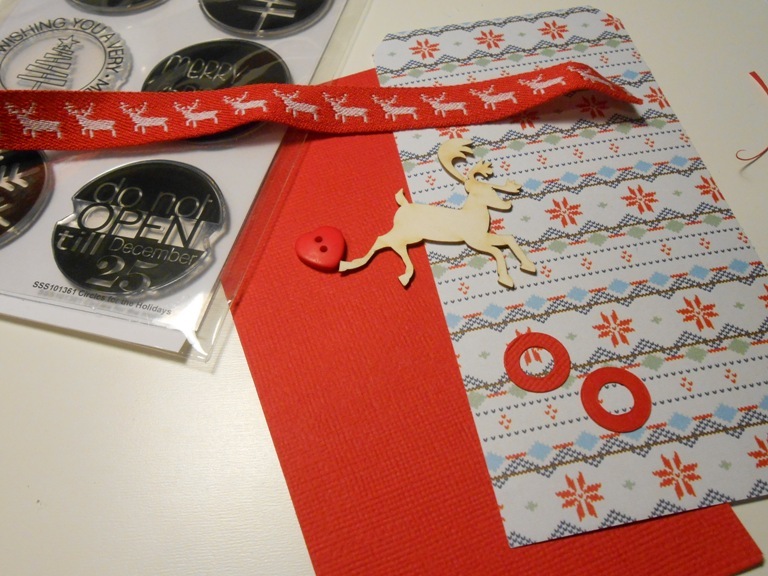 For Day 1 we have Timi with a wonderful Christmas tag project. It is just a simple and easy way to add some interest to your Christmas present wrapping. Gather everything that you might want to use on this tag. 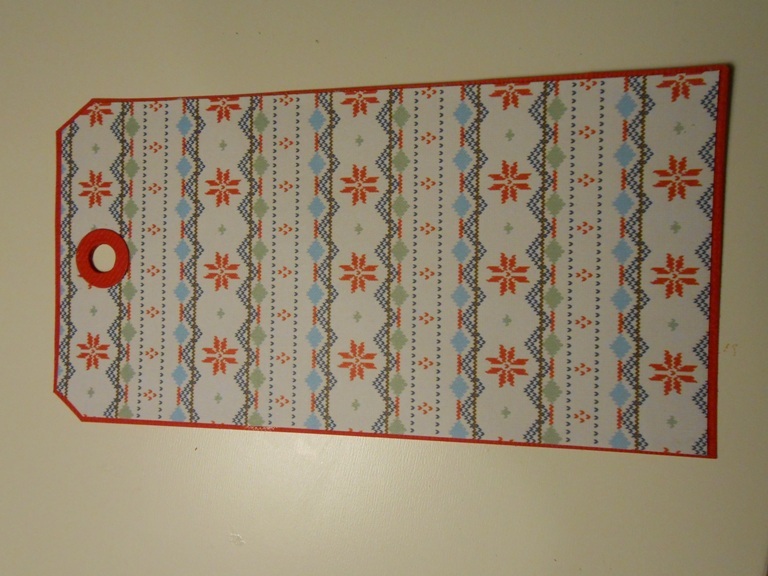 Cut out the tag shape from the solid card stock and a slightly smaller tag shape from the patterned paper. 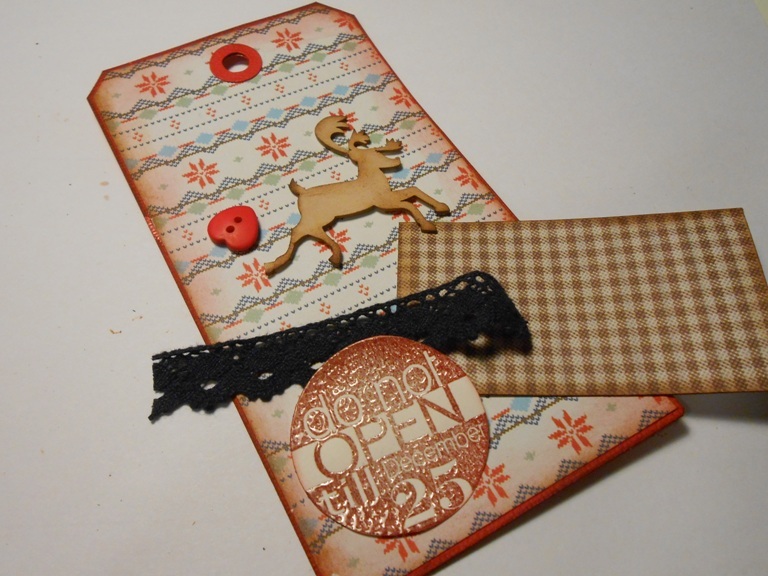 Place the patterned paper tag onto the solid card stock and glue it down. You can add a hole to the tag too, if you like. Stamp and clear emboss a sentiment. I really like this set from Simon Says Stamp. 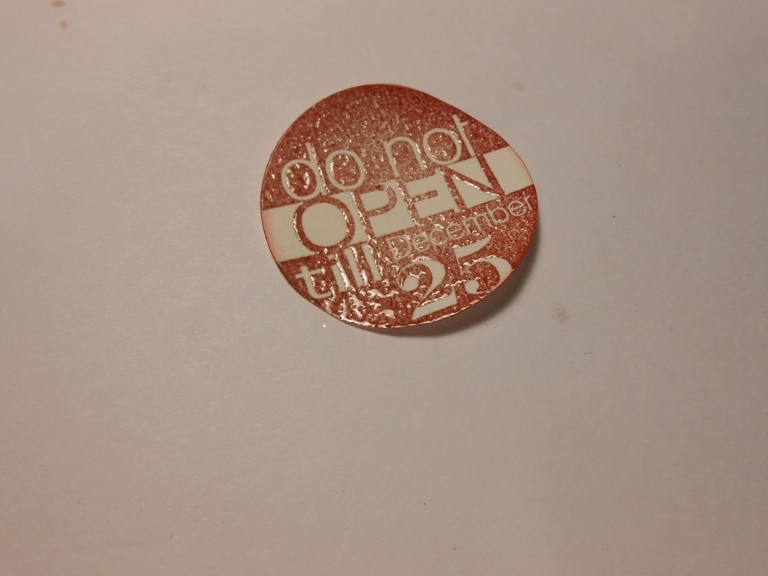 To bring all the colours together ink the edges of the tag with the same ink that you used for stamping. Decide on the composition and assemble the tag. 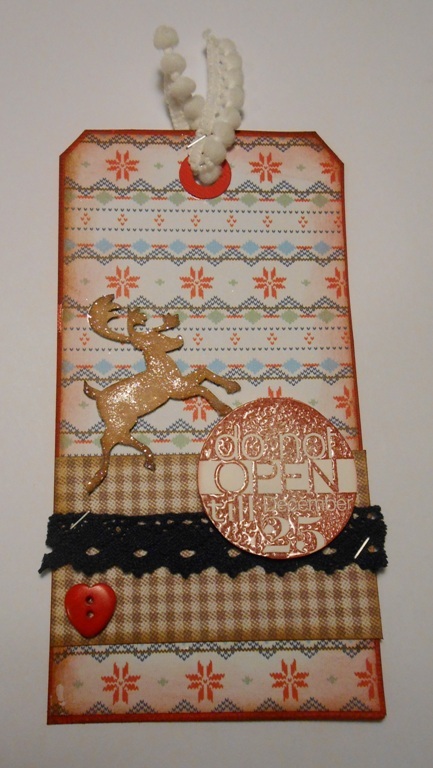 I added a little bit of sparkle with the new Distress Glitter on the chipboard reindeer. I think it really adds to the Christmas feeling. We hope you enjoyed this tutorial, happy crafting!! oh it’ll be a fun 12 days!